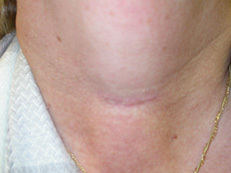 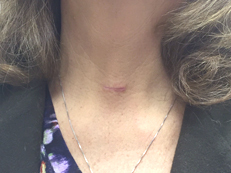 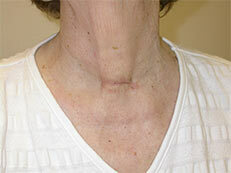 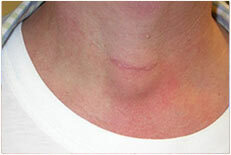 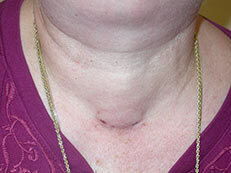 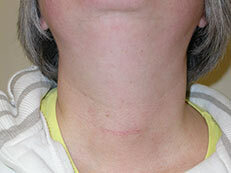 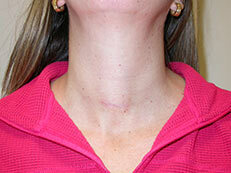 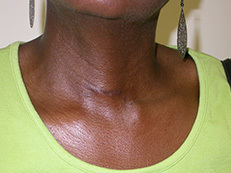 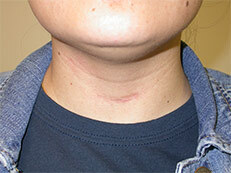 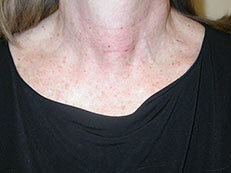 Scar After Parathyroid Surgery | www.Parathyroid-Surgery.org. 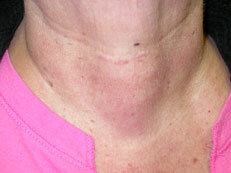 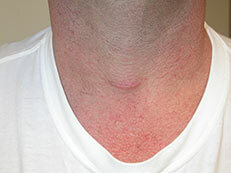 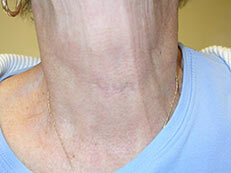 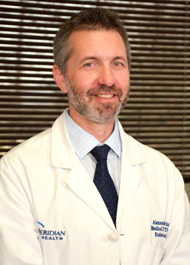 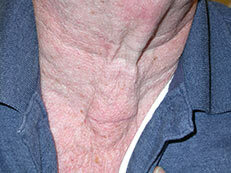 Scar, 2 weeks after a minimally invasive parathyroid surgery for the large parathyroid adenoma (pictured right). 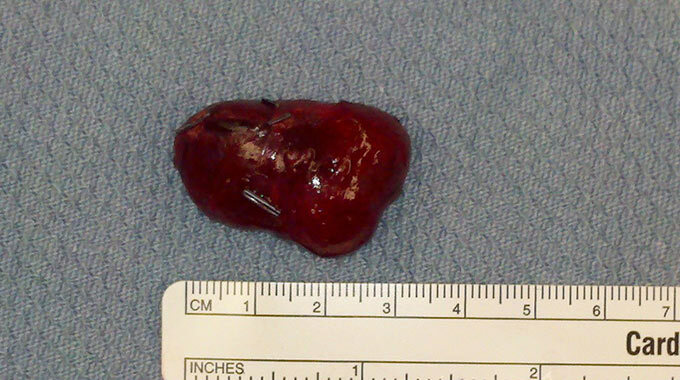 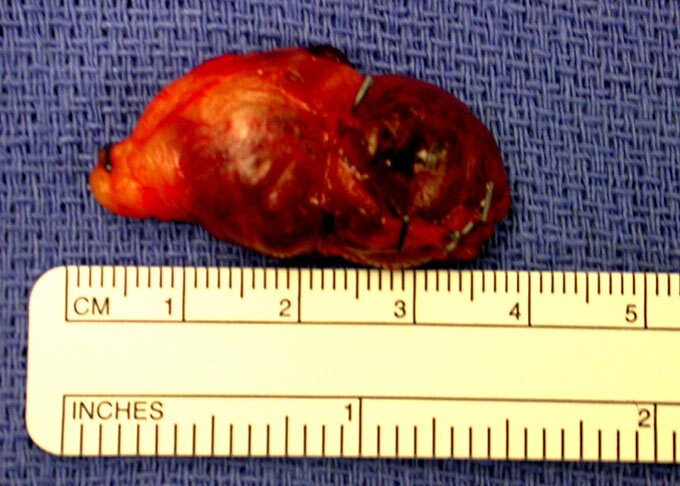 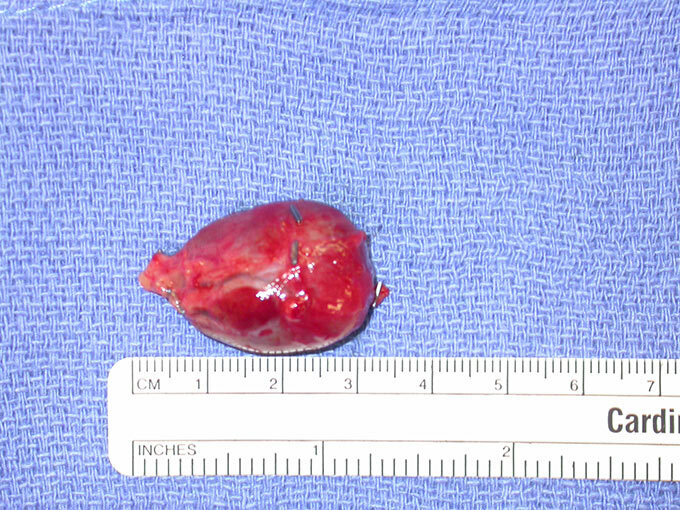 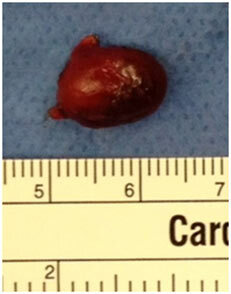 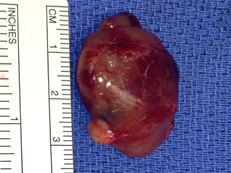 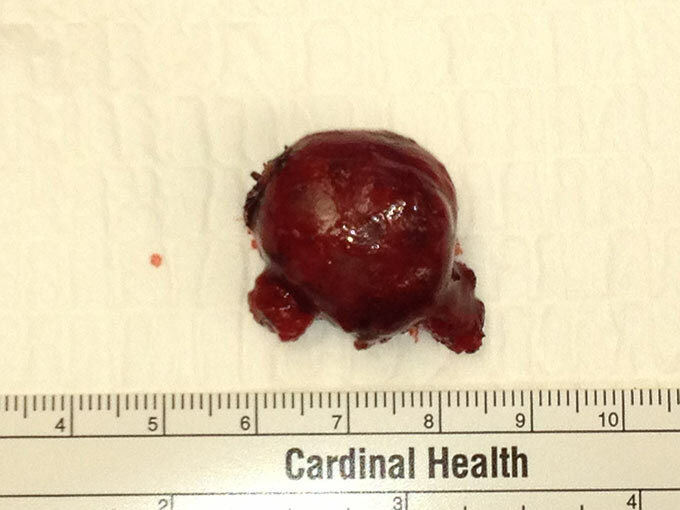 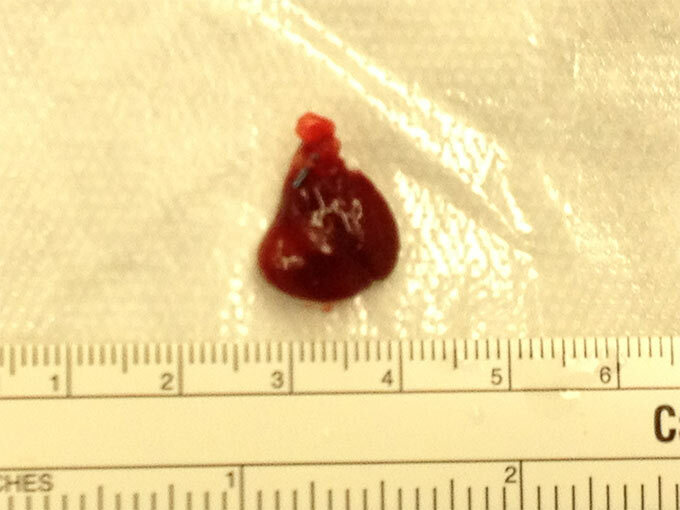 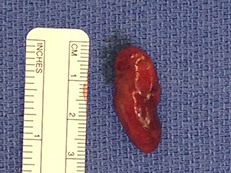 A large parathyroid adenoma 6g, 3.3 cm x 2 cm (removed from the patient pictured left). 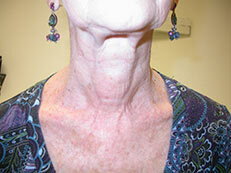 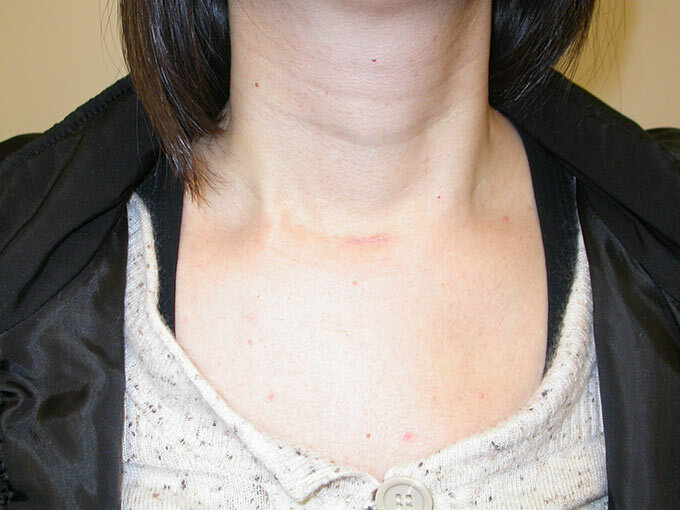 Left lower parathyroid adenoma from the patient pictured left. 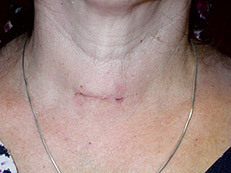 Incision covered with the skin glue immediately after the surgery, a minimally invasive parathyroidectomy for primary hyperparathyroidism, in a 21-year-old female (note that the size of the parathyroid adenoma is bigger than the size of the incision); (the stich is still in place and is going to be removed in three hour after the surgery and right prior discharging the patient to home). 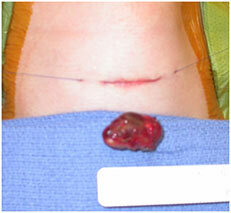 See following picture in two weeks after the surgery. 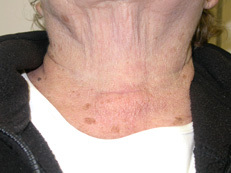 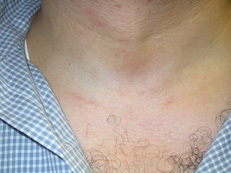 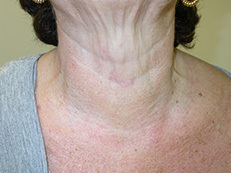 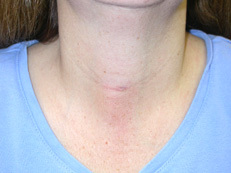 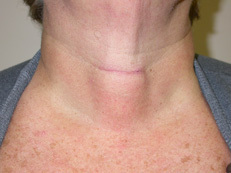 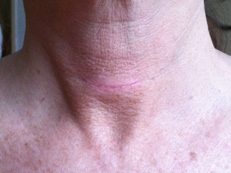 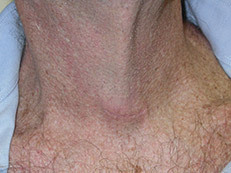 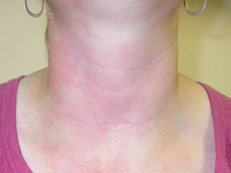 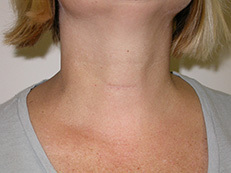 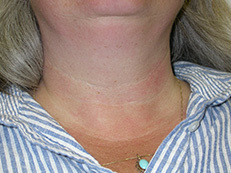 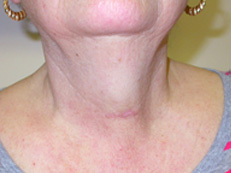 Scar in two weeks after a minimally invasive parathyroidectomy for a primary hyperparathyroidism in a 21 year-old female (the same patient as it is shown on a prior picture). 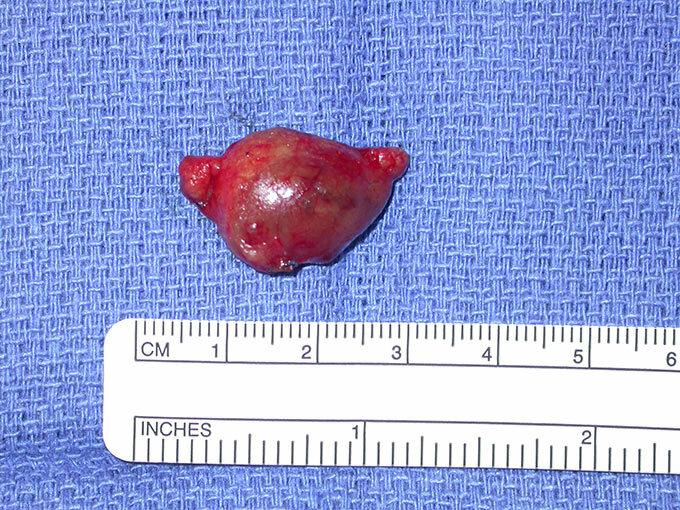 The left inferior parathyroid adenoma removed from the patient. 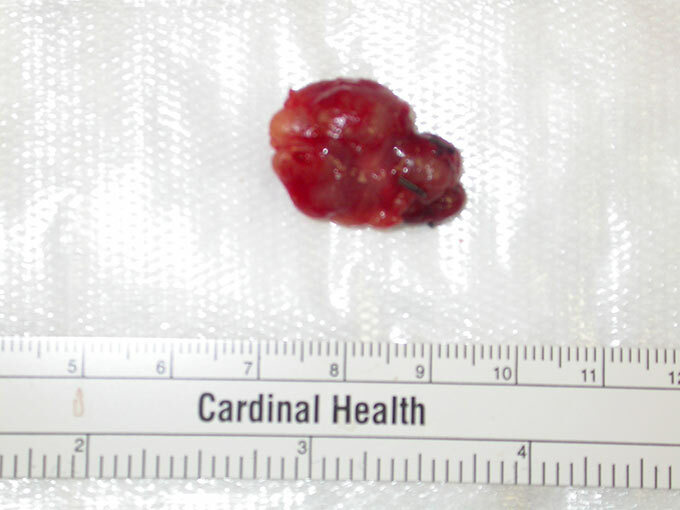 Scar in two weeks after a minimally invasive parathyroidectomy with removal of the left inferior parathyroid adenoma in a 40 year-old male with primary hyperparathyroidism (the same patient as on a prior picture). 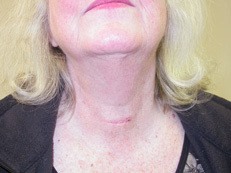 Scar in 2 weeks after a minimally invasive parathyroidectomy with excision of the 1.5 cm right inferior parathyroid adenoma in 80 year-old female with primary hyperparathyroidism. 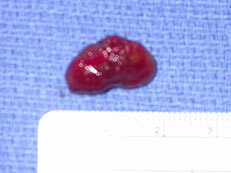 Parathyroid adenoma measuring 3.5 cm x 2.0 cm x 1.2 cm (plum size) in patient on the next picture. 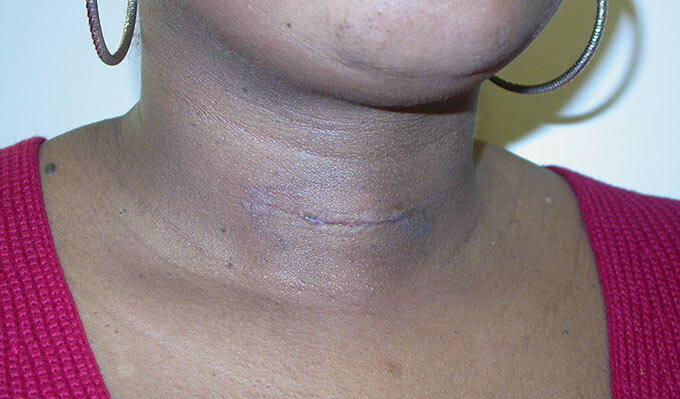 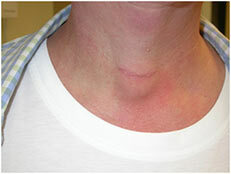 Scar in two years after parathryoidectomy for a large parathyroid adenoma.